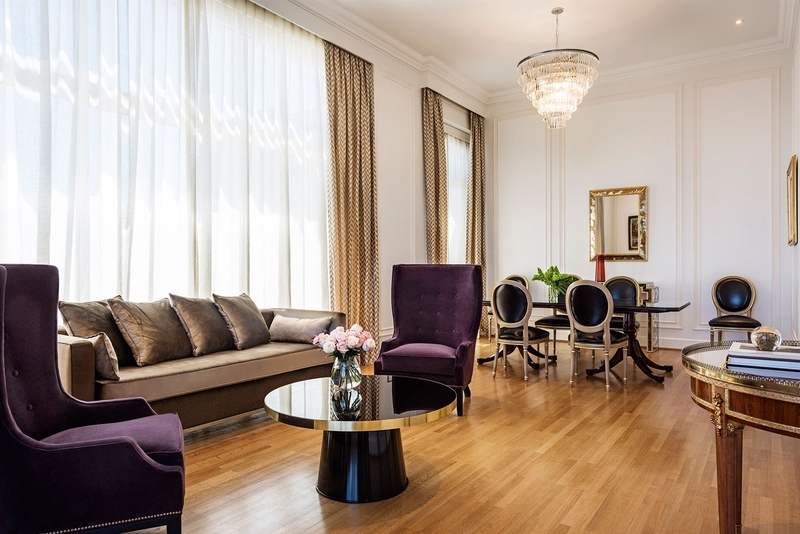 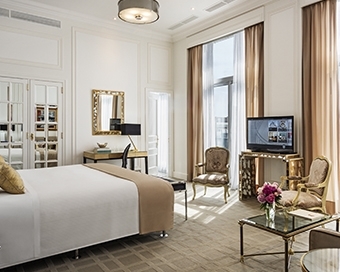 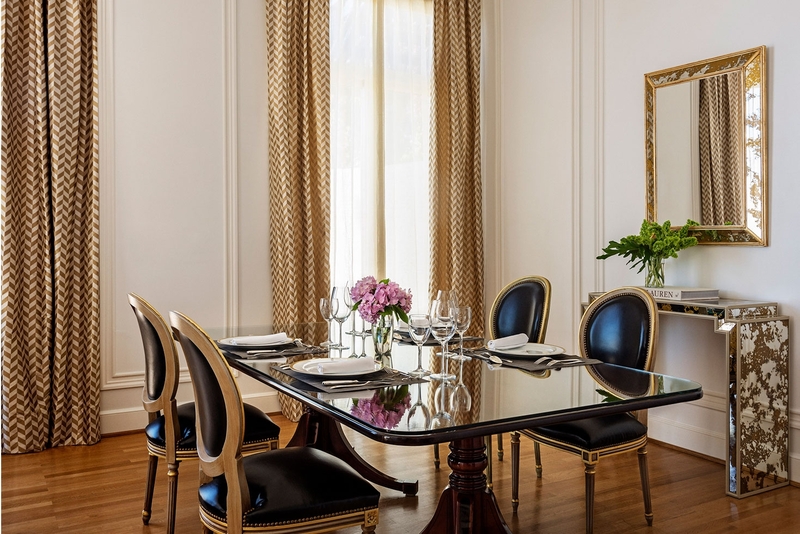 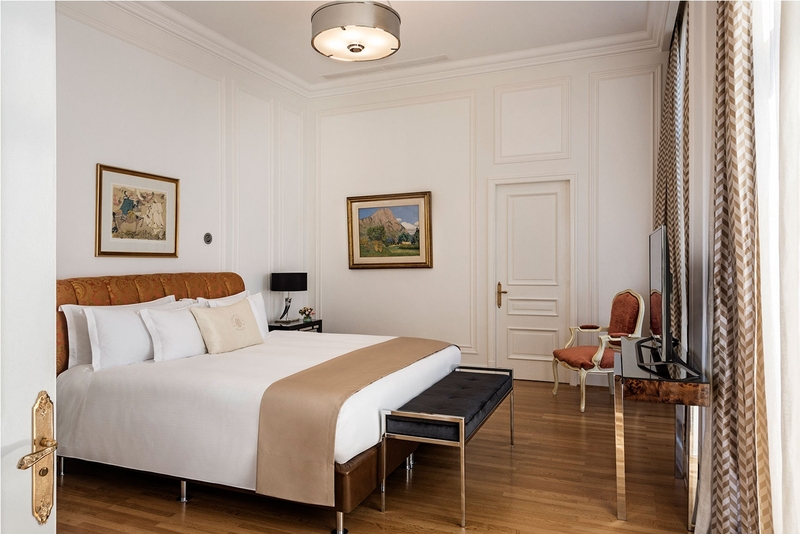 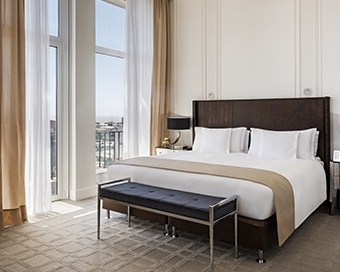 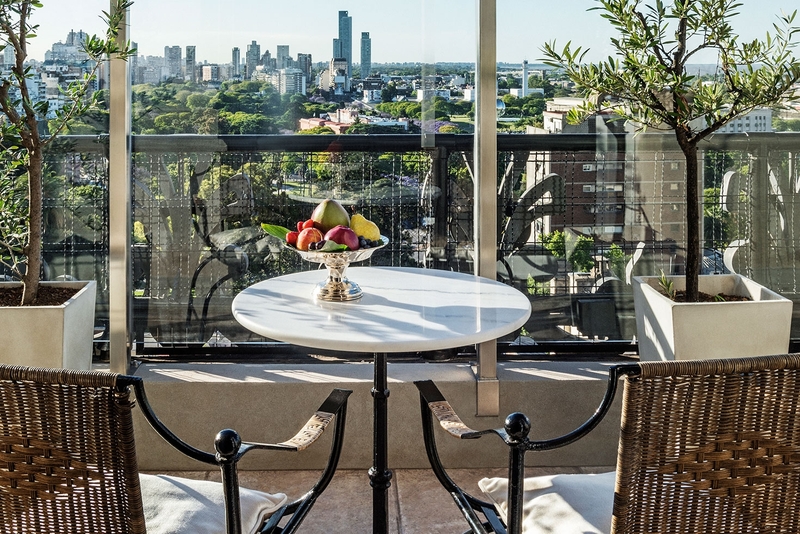 The uniquely designed Roof Garden Suite with magnificent views of parks within the Recoleta, features a comfort bedroom, a spacious living room, toilette, terrace and balcony. 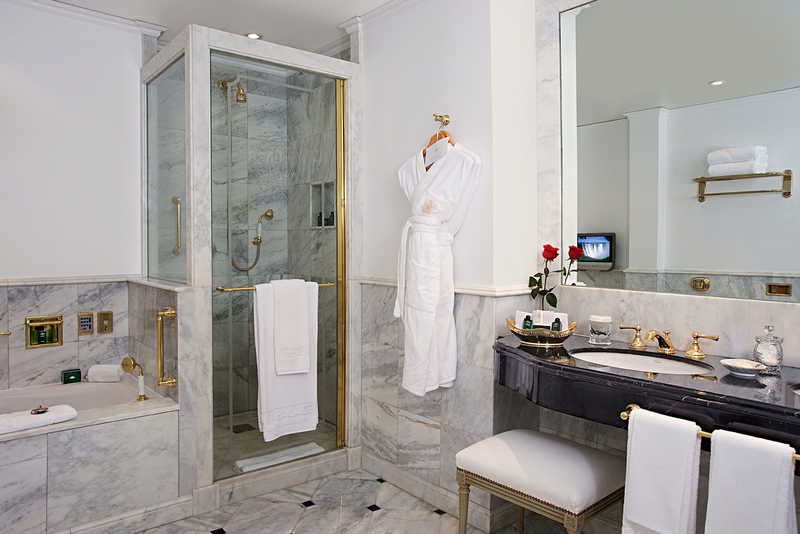 A master bath with whirlpool, shower box and Hermès de Paris toiletries is luxuriously clad in Carrara marble and black Marquina. 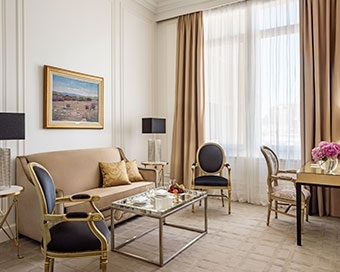 The suite is also equipped with automatic curtains affording total darkness, and awnings with wind sensors.